Royal Institute of Chartered Surveyors (RICS) is the world’s leading professional body for qualifications and standards in land, property, infrastructure and construction. Two of our senior BQ surveyors are chartered with this distinguished professional body. Chartered Institute of Building (CIOB) is the world’s largest and most influential professional body for construction management and leadership. Three of our Senior BQ surveyors and our Assistant BQ surveyor and members of the CIOB. With a team being affiliated with these construction professional bodies, our clients can be assured that our team are professionally qualified in construction. ISO 9001 is the international standard that specifies requirements for a quality management system (QMS). 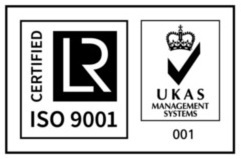 With this externally audited accreditation, we operate an effective management system to demonstrate our ability to consistently provide products and services that meet customer and regulatory requirements. Investors in People is the standard for people management. We proudly have been accredited and adhering to the Investors in People standard since July 2001. We take great pride in offering our workforce extensive opportunities for training and development.